ashlee nicole spills | blog: Asher Roth Comes Out on E! If you found out your favorite rapper were gay, would you still support him/her? Would you even care? Well, if you didn't know, there are speculations that a lot of "the kids" are running the hip hop scene, we just don't know about them -- until now. 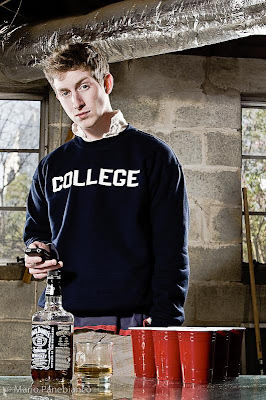 Asher Roth is coming out! The "I Love College" rapper is set to come out on an E! appearance during the Christmas celebrations. He will be the first rapper to admit that he is gay. Check your local listings. Get all the tea here. Update: MTV has reported that sir Asher himself are calling the stories circling the internet are false.